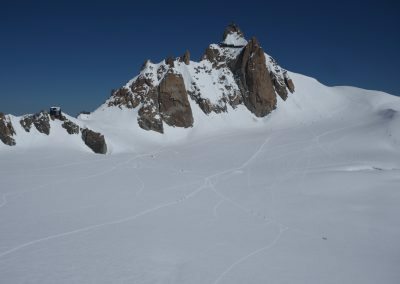 A spectacular route that weaves it's way through glacial terrain past two 4000m peaks, Mont Blanc du Tacul and Mont Maudit. 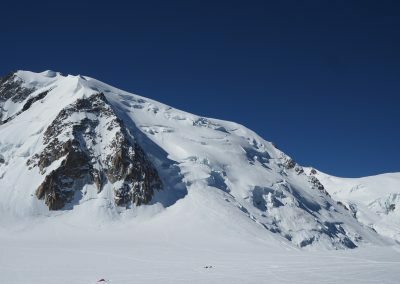 An easily accessible climb that nevertheless is threatened by serac fall and avalanche, good weather and conditions are vital. 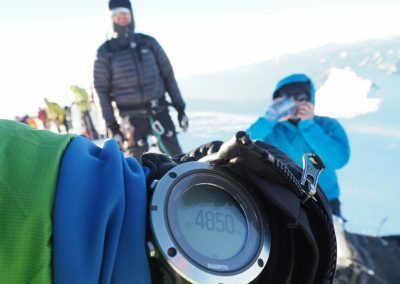 Intermediate – good crampons skills, fitness and acclimatisation required. 1 – 2 days, plus acclimatisation. 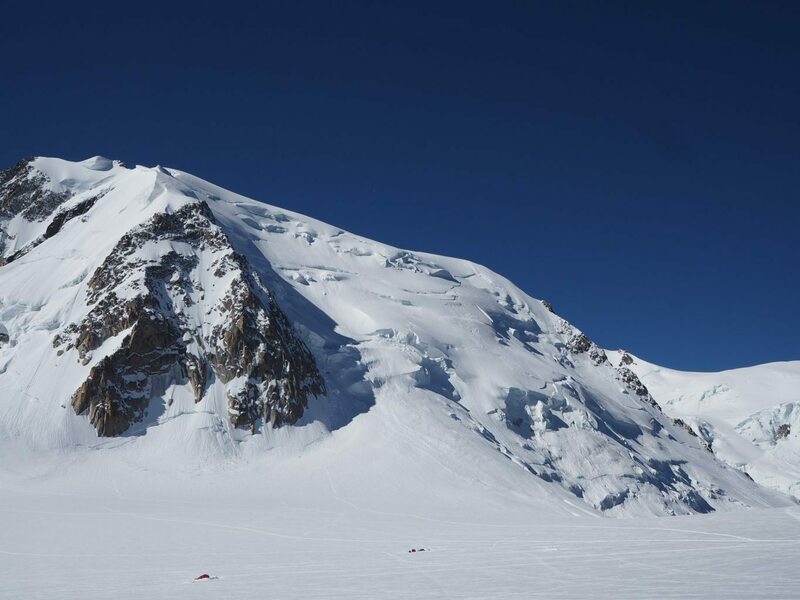 The route will generally take around 5 - 7 hours from the Cosmiques refuge. From Chamonix, up the Aiguille du midi cable car and a short descent to the Cosmiques refuge for the night. June - October. Conditions vary month to month. Aiguille du Midi cable car. 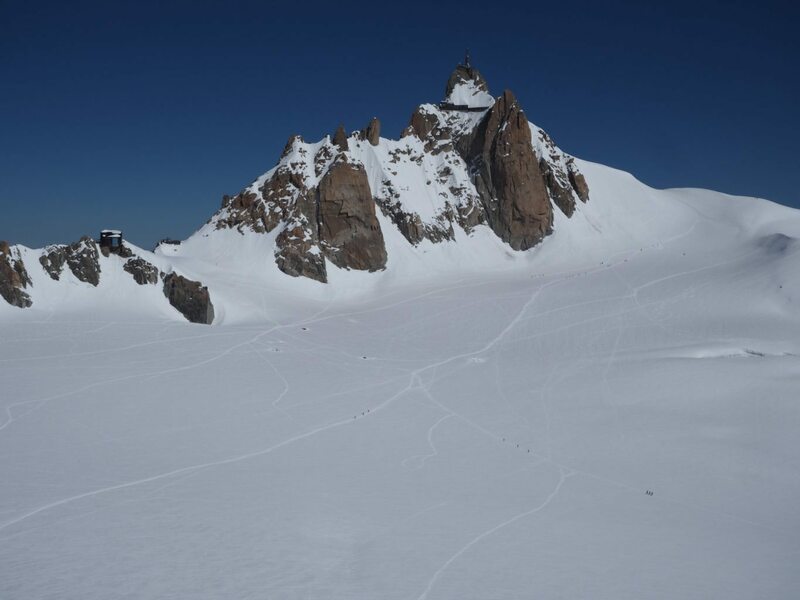 Although easily accessible using the Aiguille du Midi cable car, this is a serious route and should only be climbed in good conditions after acclimatisation and training. Our normal route of ascent is the Gouter route, which is much safer objectively, and also offers a guiding ratio of 1:2. It is possible to make a traverse of the mountain by descending the Gouter route.